This year, over 40 countries held elections to choose their heads of state. Several developments have affected the perception and realities of democracies across the globe. Mexico’s recent elections (July 1st) marked a historical milestone, with around 56 million people (of a potential turnout of 89 million) casting their votes among an unprecedented list of candidates that resulted in the victory of Andrés Manuel López Obrador as the country’s elect president. With the greatest voter turnout in Mexico’s history, and amid a context of clear rejection of preceding models of government, over 30 million voters elected a pure left-wing leader to govern the second largest economy in Latin America for the first time in decades. Collective discontent, blatant corruption throughout public administration, inequality indices, and a rising wave of violence and delinquency in the country set the stage perfectly for the crushing victory of MORENA in the elections. 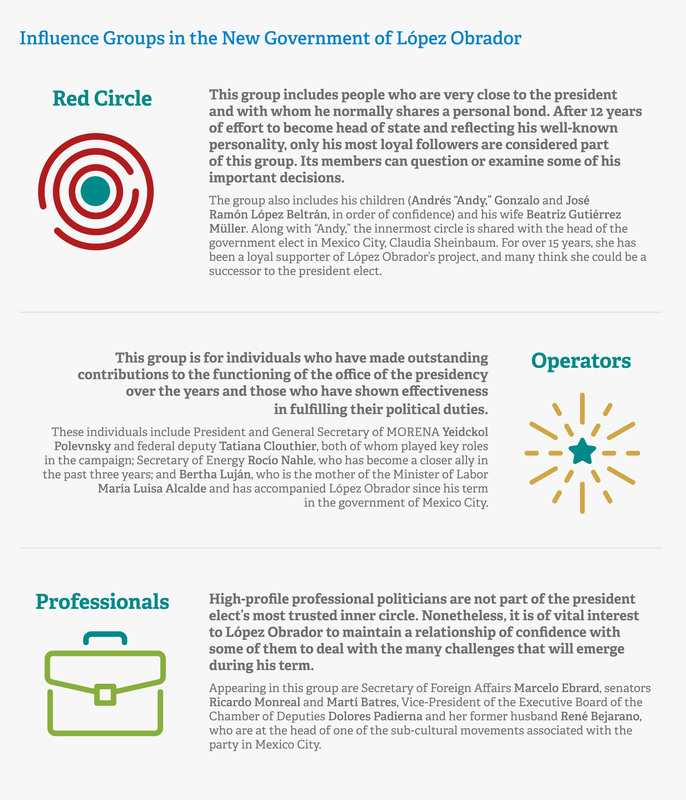 However, we must also point out the extraordinary negotiating efforts by Andrés Manuel and sympathetic groups to facilitate the process of new political leaders coming to power. They paved the way for one of the most effective transitions seen since the advent of democratic elections in the country. When launching the main points of this government’s agenda,careful handling of the different management styles of those in power can mean the difference between success or failure. Formulating a long-term project as a party objective may depend on it. In this sense, it is worth noting that MORENA accepted a broad slate of different individuals as party members once its victory appeared to be imminent, causing internal divisions and polarization. Although the party’s charter and national legislation prohibit undercurrents or subgroups, this does not prevent the natural formation of influence groups that directly or indirectly have a bearing on the decision-making processes of the country’s leader. The classification of influence groups has been debated by analysts from different points of view; what follows should be considered an outline rather than a circumscribing approach to the profiles and types of bonds that comprise them. Rather than just a list of names, it is meant to be a catalyst for a profound analysis of the relationships with the president elect and the way in which these may have a bearing on issues affecting the general public. The list of names will surely continue to grow as the new leader goes about tackling the titanic challenge of achieving the country’s needed transformation. Therefore, looking beyond the cut-and dried naming of individuals, all these key players will have to comprehend the changes that have come with what many think will be remembered as not only a new six-year period but a new political system. Rogelio has over 16 years of experience in the field of strategic communications and public relations. He has worked in countries such as Argentina, Colombia and the Netherlands. 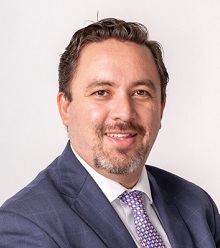 In Mexico, he has worked with important companies in the world of communications, holding positions of senior responsibility for several years. Rogelio is an expert in corporate communications, reputational management and crisis management. He is a frequent guest speaker at various university academic institutions and has been a visiting professor at the Universidad Panamericana. He is currently the joint Managing Director of LLYC in Mexico. Marquez is an expert in design and implementation of programs of corporate affairs, institutional relations, reputation, crises and sustainability, with more than 10 years of professional experience leading public affairs strategies for highly regulated industries in consumer companies, as well as in national and international consultancies. She created the corporate affairs area at Jugos del Valle – Santa Clara (Mexican operations of Coca-Cola) where she was responsible for corporate citizenship and social license strategy for more than four years. 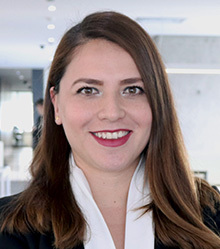 A graduate in public affairs from the University del Valle de México, she has also completed numerous law courses at the Instituto de Investigaciones Jurídicas of the Universidad Nacional Autónoma de México.